I had lunch today at “Dog in the Park,” one of the best outdoor dining establishments in Seattle. One window, one grill, and a cluster of umbrella-shaded picnic tables on prime downtown turf: the east side of Westlake Park. From my excellent table, I had a ringside view of the children’s play area, the waterfall wall and the busy intersection of Fourth and Pine. My chicken, feta and spinach dog with peppers and onions was grilled to perfection. It cost me five dollars plus tip. If you’re after traditional pork or beef dogs, they have those too. Veggie, vegan? Naturally. It may be a one-item menu, but “Dog in the Park” has a dog for everyone. But this is not a restaurant review. This is a park story. 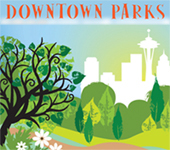 Westlake Park is not just a busy downtown crossroads. It is, in fact, a city park. It has its own Seattle Park District web page, which lists its size as 0.1 acres. It also has its own Office of Arts & Culture web page, on which you can learn all about artist Robert Maki’s 1988 design for Westlake, which features paving stones in a Salish basket-weave pattern, a Roman-inspired stone archway and a 64-foot, double wall of water that you can walk through on a steel walkway. Sitting in the park, with a tasty grilled hot dog, is much better than reading about it. As I ate, I watched a few kids plinking on a pink piano, one of the “Pianos in the Parks” that have popped up all over Seattle this summer. I watched a half dozen younger kids scramble on the geodesic jungle gym and the shiny aluminum balls. I watched the parents and grandparents who were watching all the children, some of whom occasionally drifted down to the south end of the park to see how the games were going on the giant chessboards. The sun was as summer-bright as it could be, but there was a delicious breeze cooling us all. It’s all pretty wonderful, especially if, like me, you can actually remember what things looked like before 1988. Before this one-tenth of an acre became a park paved in a basket pattern. In 1982, when I moved back to Seattle after eight years away, Westlake had a post-apocalyptic feel. I remember gaping holes and plywood with graffiti on it, which gave way at some point to screeching jackhammers and scaffolding everywhere. I remember this going on for years. I’ll tell you the truth: it wasn’t until I got home after my hot dog that I looked up online and learned that Westlake is a city park. It made me happy to learn that it is. 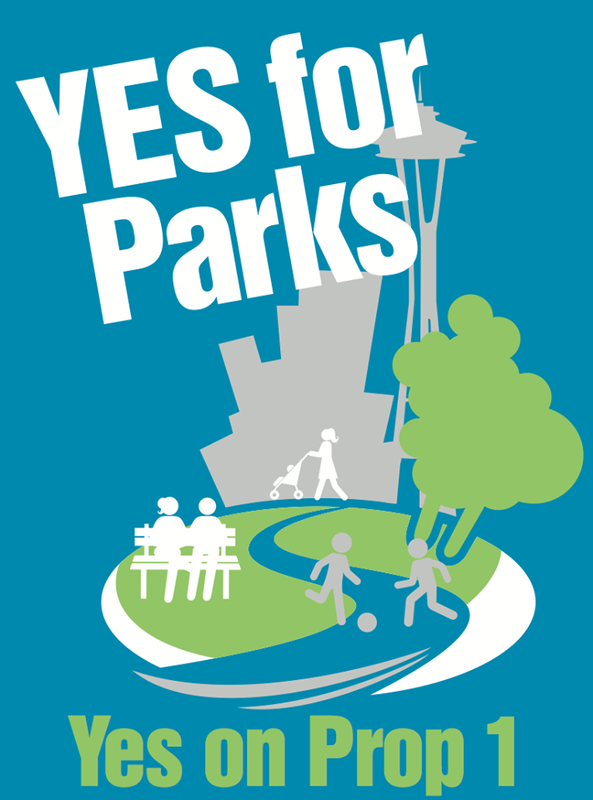 Because on August 5th, Seattle residents have a chance to vote to provide stable funding for all our parks, including tiny Westlake. If we can pass Proposition 1, Seattle, we’ll be protecting what has become a very sweet spot in the heart of the city. It’s only one tenth of one acre out of the 6200 acres in our park system. But it is probably the only park where you can buy a grilled-to-order lunch and eat it while taking in the ever-stimulating spectacle of downtown life. On Tuesday nights, you could have your hot dog and then do a little ballroom dancing in Westlake Park. There are occasional concerts, too. Political rallies and parades pass through pretty regularly. And because it’s a park, it’s ours. Just like Rainier is our mountain and Alki, Lincoln and Golden Gardens are our saltwater beaches, Westlake is our own protected bit of downtown real estate. Check it out. Try a hot dog. And mail that ballot. 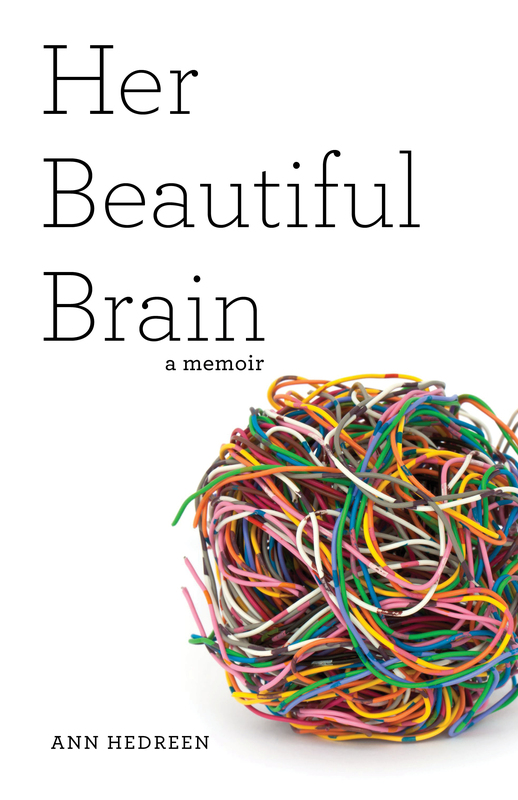 Save the date for the Her Beautiful Brain book launch: 3pm, September 7, at Elliott Bay Book Company in Seattle. You can pre-order now from Elliott Bay, Powell’s Books, or the large or small bookseller of your choice. Imagine: you are in the middle of downtown, in a major American city, and you walk right into a clean, pleasant public bathroom. No strings attached: you don’t have to buy a coffee or stride purposefully past a store clerk or a hotel concierge or a librarian. This restroom is there expressly for you. You, the visitor. In fact, it is in a place called the “Welcome Center,” which also features racks of brochures and maps and friendly volunteers who will answer any questions you might have. Hot day? Water bottle empty? They’ll point you to the drinking fountain where you can fill it. I know what you’re thinking: I really am imagining this. There’s no such place. But you know what? There is, and it’s closer than you think. One hundred seventy three miles south of Seattle, there exists a strange parallel universe called Portland, a cityscape that resembles ours, only everything is easier. The Welcome Center is located in Portland’s Pioneer Courthouse Square, right in the heart of town, right where tourists can find it. “Why can’t we have one of these in Seattle?” I thought, as I walked in, two minutes after stepping off the many-branched MAX light rail, which had just whisked us downtown from my nephew’s outlying neighborhood. I know: Seattle’s working on it. I live on our Link light rail line, and I love it. I just wish it were a real network, like the MAX, instead of one lonely line. Light rail is expensive and it takes a long time to build. Public bathrooms downtown probably aren’t so easy, either. But there are a few other things Portland has figured out that Seattle has not. That maybe wouldn’t be so hard to do. For example, sidewalk dining. SO much nicer when it’s not crammed behind a chain. Walking along the Willamette River on the Fourth of July, café tables and chairs stretched from one restaurant to the next the way they do in Paris. My husband and I were there for the Portland Blues Festival. We took a strolling break in search of coffee. Sitting at our little outdoor table was so pleasant we decided to keep strolling after we were done. We came to a restaurant, sat down and ate dinner—still on the sidewalk, taking in the scene as people spread their blankets to watch the fireworks—before we finally went back into the jam-packed festival area, which also sprawled along the river. Here, too, there were no fenced-in beer gardens, as there are at Seattle’s festivals, for people who wanted to have a beer or glass of wine. Instead—what a concept!—you could buy your beer and sip it as you walked, or bring it back to your own blanket or lawn chair and sip it while you took in the music. Like many Seattleites, my husband and I are not often tourists in Portland. We pop down for a day of work or a visit with friends or relatives and then we head home. But after our recent three-day jaunt, I get the magic. I understand why young people are moving there in droves. Sure, it’s “twee”—you can buy a book at Powell’s that explains what that is—and many people have many, many tattoos, some of them quite beautiful. 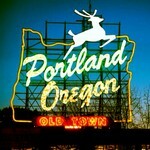 But Portland also boasts great art, music, food and drink. You can get to the ocean beaches or the Gorge in no time. And on top of all that? Portland is easy. It’s friendly. It is so welcoming it has a Welcome Center. Seattle, I know we’ve got the guys who throw the salmon around under the Market clock. But I think it’s about time we learned a few things. From Portland. 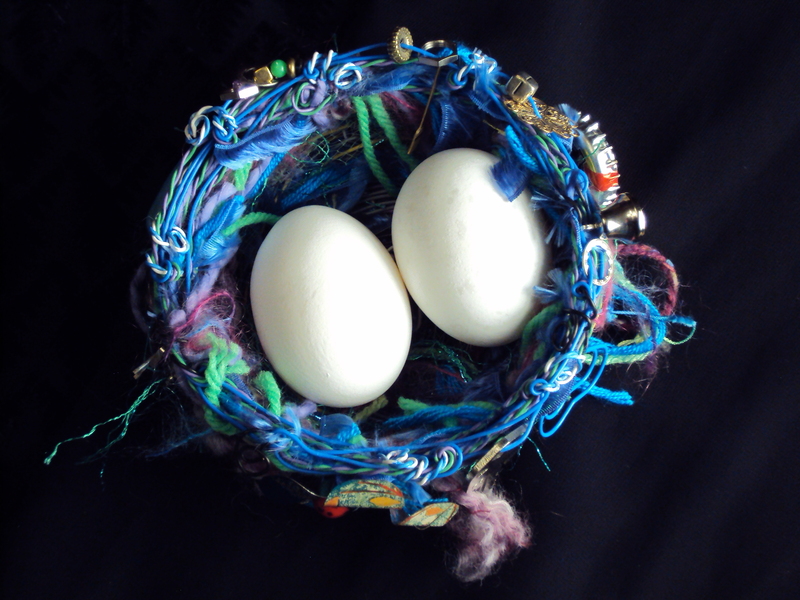 “Freedom,” such a lovely word, is about to get its annual binge on. It will be overused, misused, badly used and, occasionally, poignantly or profoundly used. Why even try to compete? So I’m keeping my contribution simple. You ready? Stay with me here. Ride with me. I live in a newly rebuilt neighborhood where many of my neighbors are African immigrants. Our home overlooks a small central park built around two enormous red oak trees. On summer afternoons, it is usually full of children. One recent afternoon, I sat at my desk, trying and failing to focus on my work while I watched the park fill with kids. They were headed towards a shining sea of bicycles parked under a big blue canopy down at the other end. It was the annual bike fair and giveaway sponsored by Bikeworks, one of the most high-energy, generous nonprofits in Seattle. One by one, thirty children were fitted with a new helmet, passed a safety test, and sped down the sidewalk on a bright new refurbished used bike. One by one, I watched them ride right towards me, smiles filling their faces. Freedom is a bicycle, I’m telling you. When you get on a bike, your feet kiss the ground goodbye. Pedaling uphill may make you sweat, but coasting is flying. One minute, you’re standing in the park; the next, you’re flying, and it’s not magic, it’s your own muscles turning those wheels and making it happen. I learned to ride a bike late. I was the third of six children, and my parents, like many of the parents in my current neighborhood, were busy with the youngest ones and apparently never thought about teaching us middle girls to ride. Finally, when I was about nine or maybe even ten, our grandparents gave my sister and me funny bikes with banana seats and we taught ourselves. No training wheels; just a few weeks of bruised shins and crashes until riding a bike was, suddenly and forever, as natural as breathing. And it was freedom. Overnight, we graduated from footsore hikers of the neighborhood to fliers, little Amelia Earharts piloting our low-slung, banana-seated planes as far as we dared. I love seeing that Amelia Earhart look in the faces of the neighborhood kids, soaring by on their new bikes. Few of them will go to soccer camps or summer camps, but they’ll be able, occasionally, to soar. I worry a lot about safety. I wish they would wear their helmets at all times. As in many American neighborhoods, we have a problem with a few young men who love driving fast in cars. Trying to soar in a car is never a good idea. But once you’ve got a driver’s license, bicycles just aren’t as cool. Until you get past all that and realize that actually, they are. On the Saturday of the Solstice, my husband and I rode our bikes up and over Beacon Hill, through the International District and Pioneer Square, along the downtown waterfront, through Myrtle Edwards Park and along the Interbay bike path to the Ballard Bridge, where we picked up the Ship Canal path and took it to Fremont. We got there in time to catch the last wave of naked bicyclists in the annual Solstice Parade. Seeing them was a lot of fun, but really, the best part of the day was riding through our city, speeding past snarls of traffic. Feeling free. I’m sure we looked as old and uncool as we are. But who cares? Like the little girl who just sped by as I write, her bright blue hijab flying out from under her red helmet, we were tasting freedom, and it tasted like the Fourth of July.